One of the highlights of last year’s International Food Bloggers Conference (IFBC) was a deep dive session into balsamic vinegar. Imagine yourself a strawberry going in for a dunk; it was that pleasurable to learn more about this essential member of the kitchen pantry from Federico Desimoni, director of the Consortium for the Protection of Balsamic Vinegar of Modena PGI. 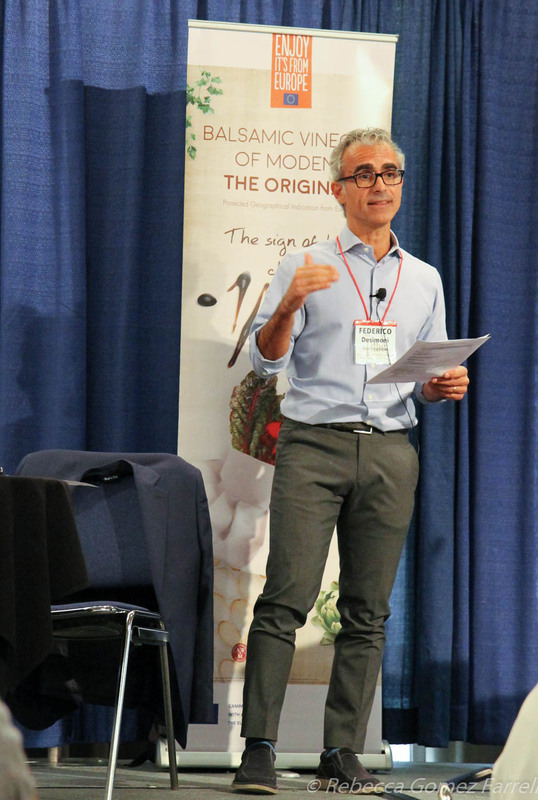 Desimoni may have been the most passionate presenter at the IFBC 2017, which makes sense when one’s promoting a product still made in the regions—Modena and Reggio Emilia—where production was believed to have originated in 1289. 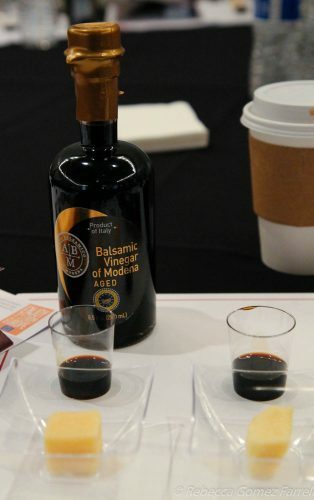 After learning about the process of making balsamic vinegar and the requirements for vinegar produced by these regions, the only ones recognized by the European Union with a Protective Geographic Indication (PGI), we jumped into a tasting of the two primary types coming out of Modena: young and aged. Desimoni cautioned us not to just gulp down the vinegars, as the taste can, of course, be quite strong. But us food bloggers did not hesitate—we are professionals, after all! Both types of vinegar were outstanding and worth savoring by the drop. 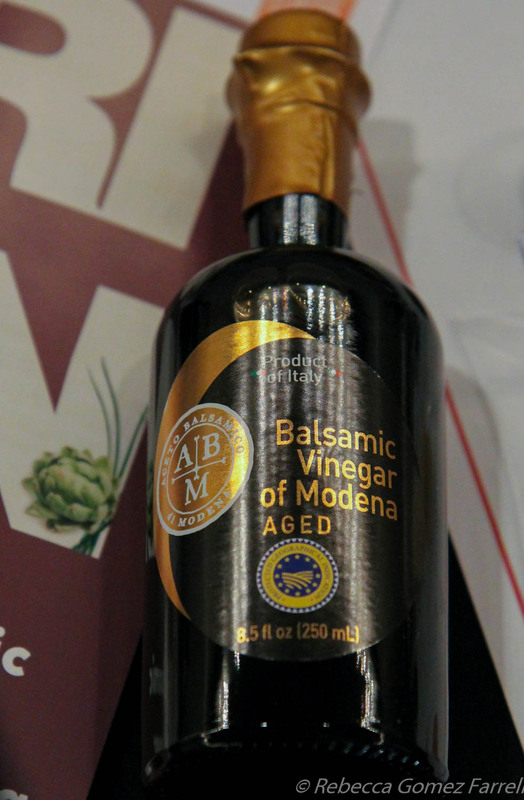 The aged vinegar is aged for 3 years or more and had the thickest, velvety mouthfeel. But as Desimoni explained, young vinegar (aged at least 60 days) has a more floral nose and may be the right choice for fresh meals such as salads or drizzled on fruit. Aged vinegar is best with cooked vegetables and meats as it deepens their flavor. 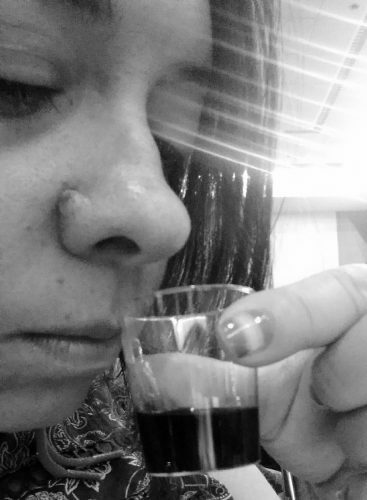 Me taking in the aroma. It’s common for consumers, like myself, to assume that aged automatically means better, but that’s not the cased for the balsamic vinegars of Modena. Rather, Desimoni advised, select the vinegar with the flavor profile that will most complement your food. He also suggested swapping tomatoes with strawberries in salads when using balsamic vinegar to enjoy the unexpected balance of sweetness and acidity. I think it’d go great in this Chilled Summer Soup, made with strawberries. Try substituting the balsamic vinegar for the basil oil drizzle on the last stage of this recipe from SPQR Chef Matthew Accarrino. 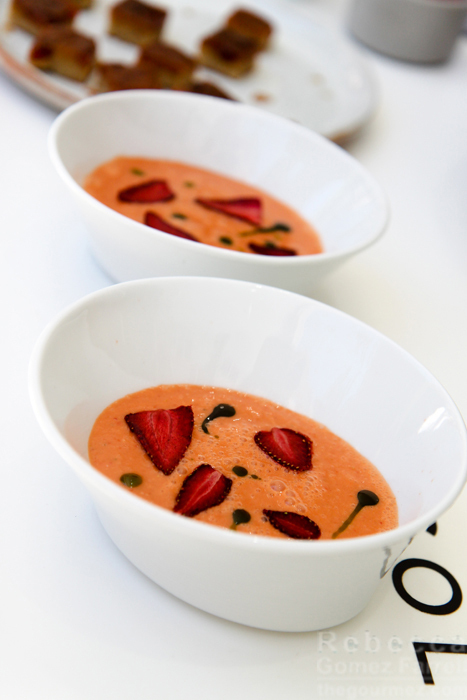 Chilled Summer Soup with strawberries. Now go forth, get the real stuff, and enjoy this delicious designation of quality on all your new creations.